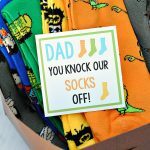 A Peek at the Fun: If you need a Halloween costume for mom (you! 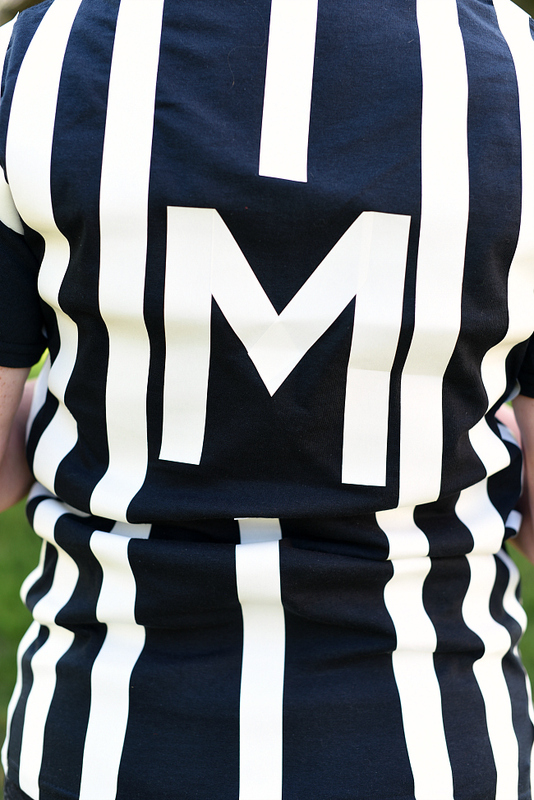 ), but you don’t have a lot of time to pull one together, this Referee Mom costume is for you. Quick and easy! 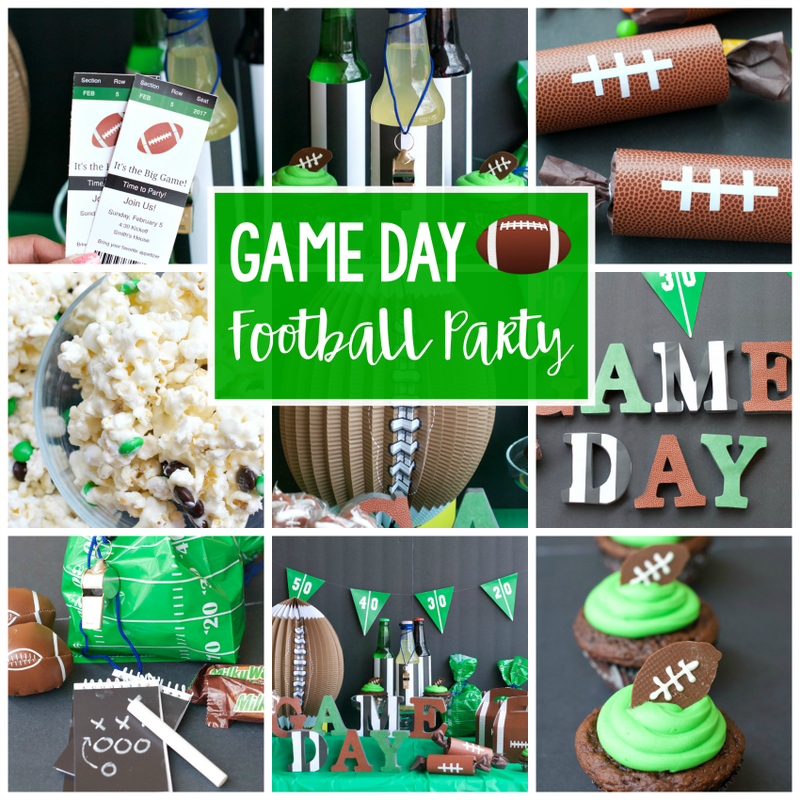 It was a Friday night a couple of weeks ago while Amber was sitting at a football game with our two football obsessed nine-year-olds when inspiration struck! 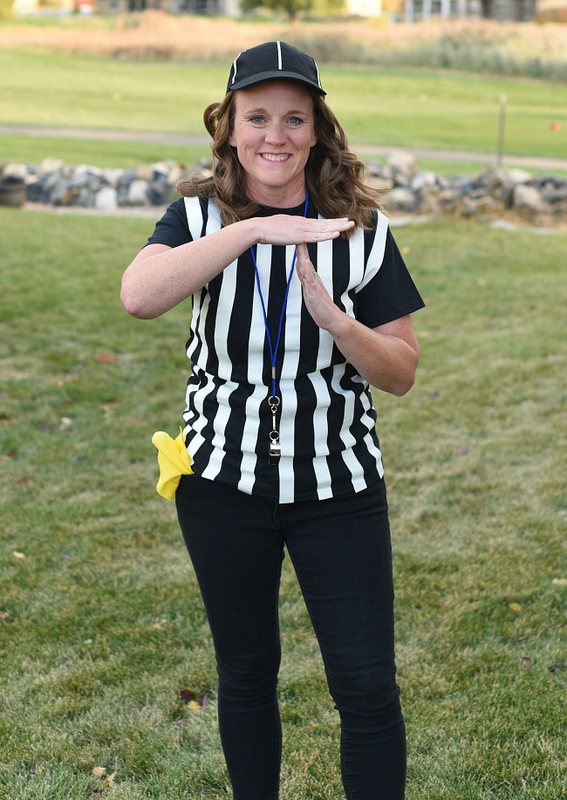 So much of our lives as moms are spent taming fights, wrangling kids into doing what they are supposed to-we are referees! Referees in our own family! It seemed like the perfect Halloween costume for a mom to dress in. 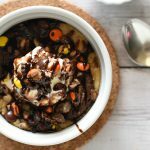 A little bit silly, a pretty accurate representation of mom life and something super easy to throw together! You might even have most of the supplies at home already. Because we all know that moms are always putting someone in timeout right?! 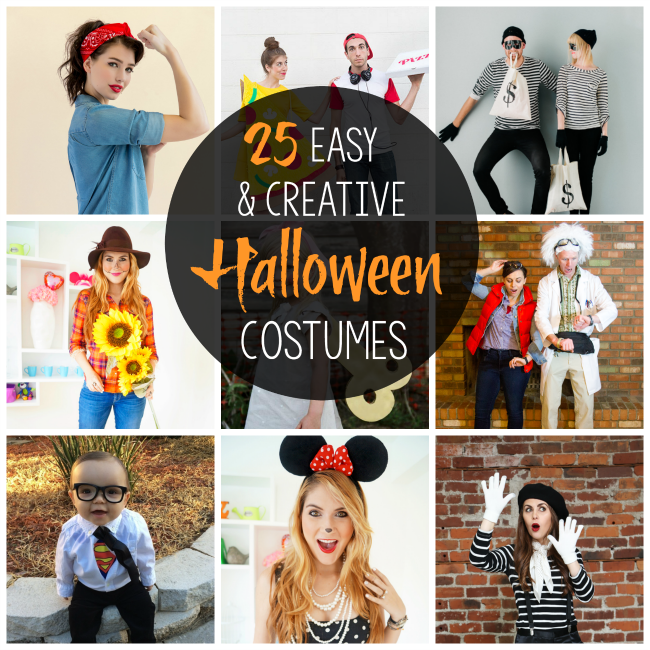 Hopefully, you have a lot of the things you need to make this costume already. You might need to grab a couple of things, but we wanted it to be simple so we tried to make it as easy to put together as possible. To make this, grab a ruler. 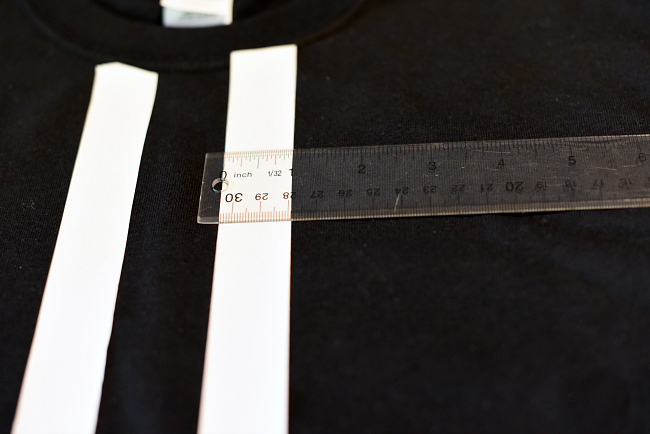 Figure out the width of your tape and then space the strips evenly across the shirt. 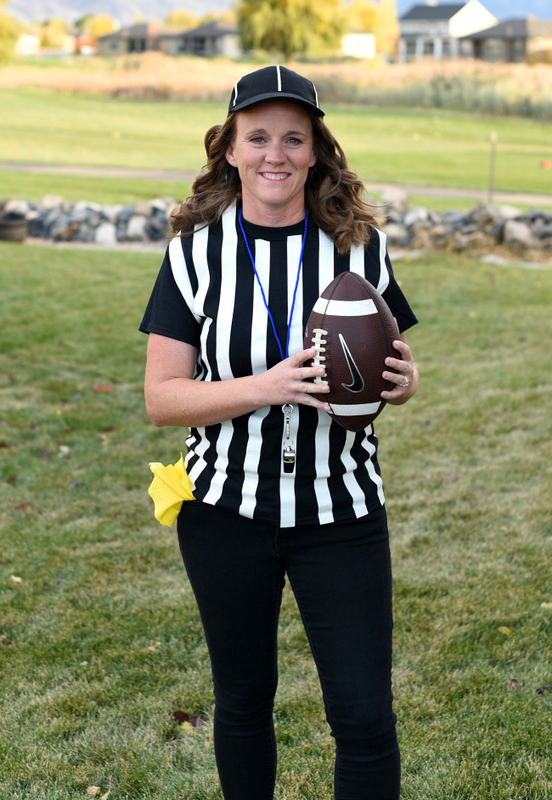 Throw on a whistle and put a yellow scrap of fabric in your pocket for the penalty flag and you’re all set! How easy was that to put together!? And even better, our little guys are being football players for Halloween this year, so we can match! Have FUN throwing together this Halloween costume for mom!